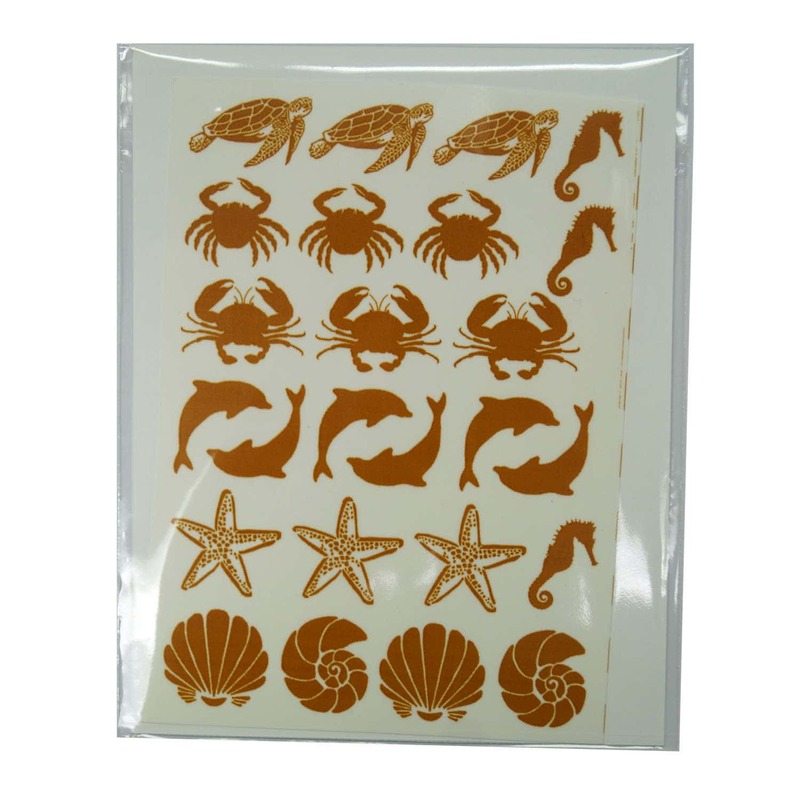 Rich gold decals in intricate designs are the perfect embellishment for your project. 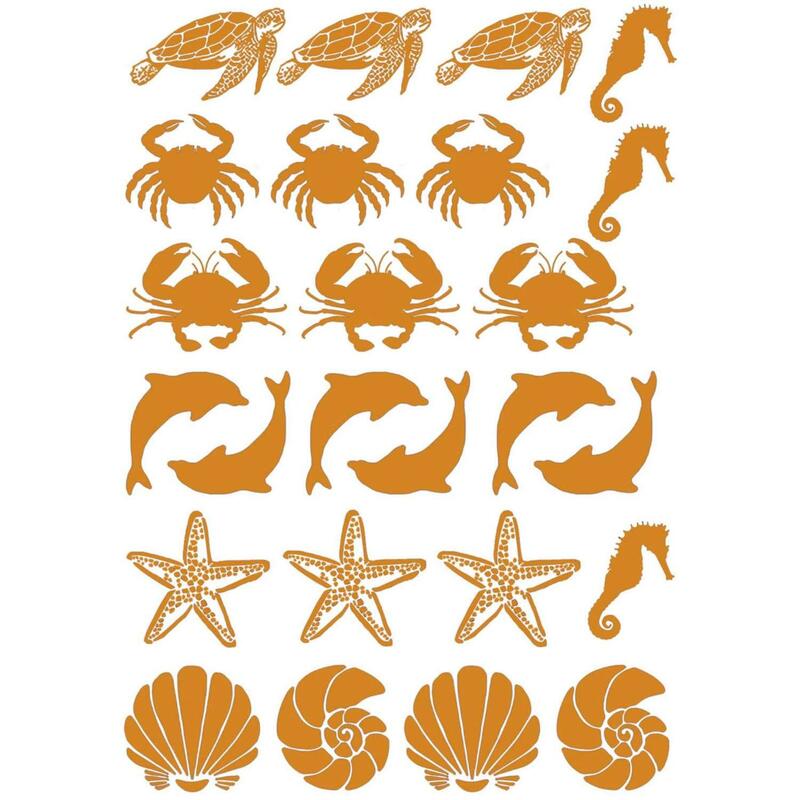 The 5" x 3-1/2" sheet contains detailed silhouettes that are perfect for jewelry and other fused art with personality. 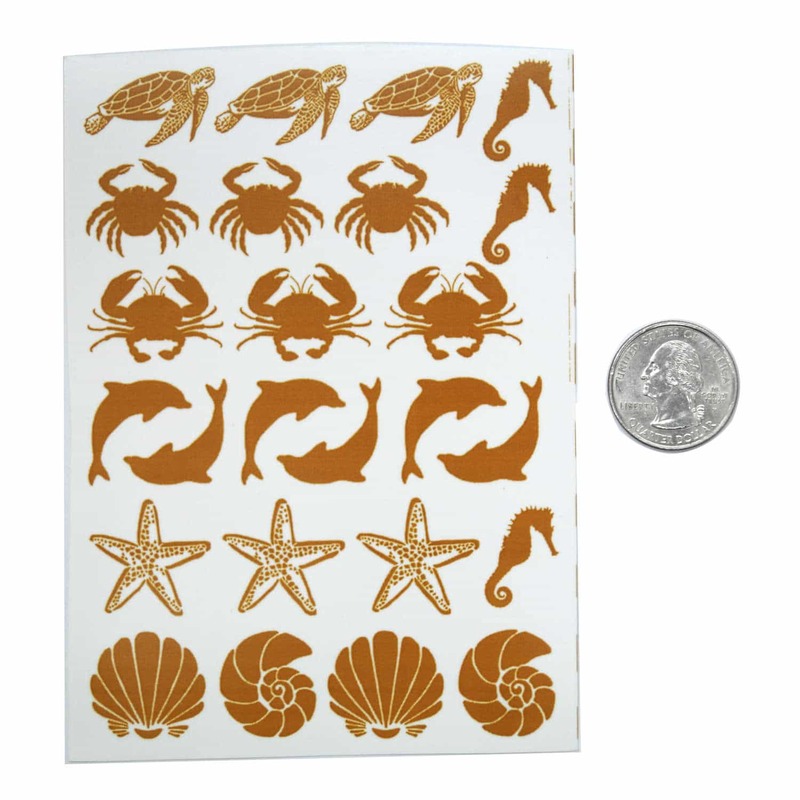 Approximately 25 designs per sheet. Individual designs measure 3/4" x 1". The easy, low fire formulation matures to a lustrous gold finish. Must be fired on top of glass. Detailed instructions are included. 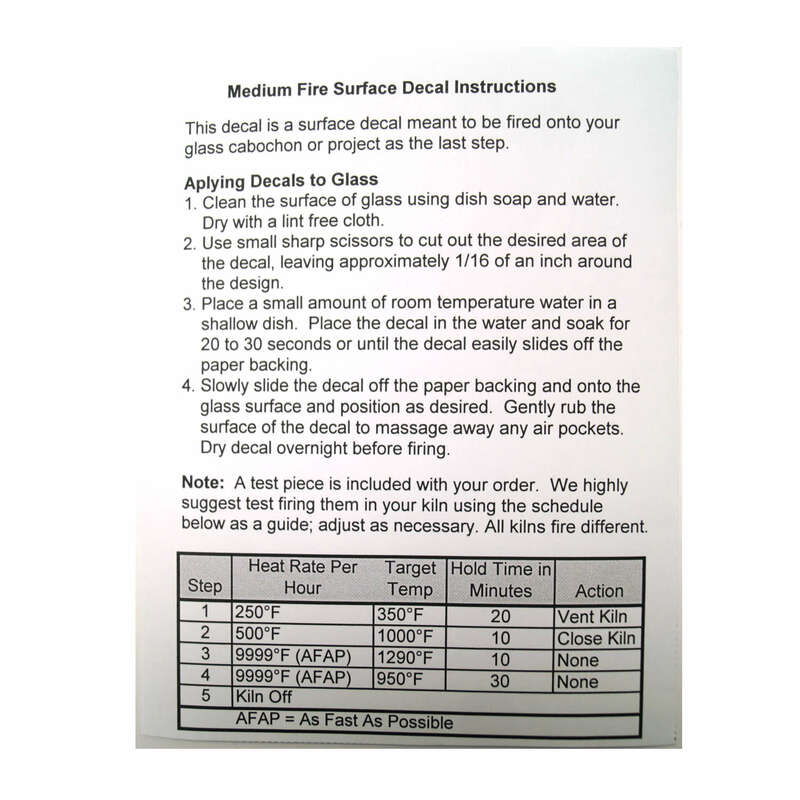 Decals mature at 1290° F.